Lahore School of Economics and University of Colombo, Colombo, Sri Lanka have agreed to establish long term cooperation in the areas of Faculty Exchange, Joint Research and Student Exchange. A Memorandum of Understanding was signed between the Lahore School and University of Colombo earlier this month. a) Student who have a CGPA of 3.5 and above may apply for 50% Needs Based Scholarship. Students will be required to maintain a CGPA of 3.5 to maintain their Need Based Scholarship. Students with CGPA between 3.49 and 3.0 will get a reduction in their Need Based Scholarship to 25%. Students with CGPA’s less than 3.0 will not be entitled to any Need Based Scholarship. b) Students who have CGPA between 3.0 to 3.49 may apply for 25% Need Based Scholarships. If the CGPA drops below 3.0 the scholarship will be withdrawn. c) Student whose father is deceased will be eligible to get a 25% special scholarship in addition to other Needs Based and Merit scholarships. 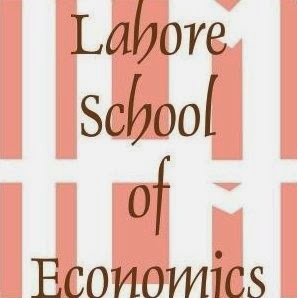 a) All Board position holders and students with 3 A’s in i) Mathematics, ii) Business Studies or Accounting or Economics and iii) any other subject (excluding Urdu) if admitted into the Lahore School’s Undergraduate Programme will be offered 50% Major Merit Scholarships (which is equivalent to 50% of the total tuition fees for the term) for the first term of the undergraduate Programme which will continue for subsequent terms in the first year provided they maintain a CGPA of 3.75 at the end of each term. Major Merit Scholarship students with CGPA between 3.74 & 3.5 will only get a Scholarship of 25% and if the CGPA drops below 3.5, the scholarship will be withdrawn. A Major Merit Scholarships can be combined with all other scholarships including Need Based Scholarships to cover up to100% of Tuition Fees. b) BSc. Hons. Graduates of the Lahore School of Economics who have attained a CGPA of 3.5 by the end of their Hons. degree, if admitted in to the Lahore School’s MSc, MS/MPhil Programmes will be eligible for 100% merit Scholarship on the total tuition fees for the term of the Masters Programme, which will continue for subsequent terms provided they maintain a CGPA of 3.0 at the end of each term. c) BBA/BSc Hons. graduates of the Lahore School of Economics who have attained a CGPA of 3.75 and above by the end of their Hons. degree, if admitted in to the Lahore School’s MBA Programme will be eligible for 25% Major Merit Scholarship (which is equivalent to 25% of the total tuition fees for the term) for the 1st term of the Masters Programme, which will continue for subsequent terms provided they maintain a CGPA of 3.75 at the end of each term. Students with CGPA of less than 3.75 will not be entitled to the 25% Major Merit Scholarship. d) All students enrolled in the 2nd, 3rd and 4th year of the Undergraduate Programme who have a CGPA of 3.75and above and 2nd Year MBA students who have a CGPA of 3.5 and above may apply for a TAship and if such a TAship is granted the student will get 1 course fee waiver in the applicable Term. This will be in addition to all other scholarships. e) All students enrolled in Undergraduate and Graduate Programmes attaining a GPA of 4.0 at the end of each term will get 1 course fee waiver in the subsequent term. This will be in addition to all other scholarships. f) All students enrolled in the Undergraduate and Graduate Programmes attaining a CGPA of 4.0 will get two course fees waiver in the subsequent term. This will be in addition to all other scholarships.